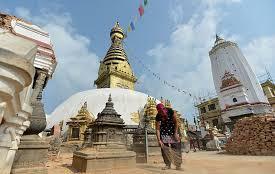 Changu Narayan Temple is One of the oldest temple and beauty of in Kathmandu valley. The Main Attraction of this temple is Lord Vishnu's ten head Image.The Changu Narayan temple is a double-roofed temple dedicated to Lord Vishnu in his incarnation as Narayan.Here is Some Information about Changu Narayan(Lord Shiva) Temple in Changunarayan Town Kathmandu Velly Nepal. Changu Narayan Temple is located at Changunarayan Town,22 km from Kathmandu Velly, Nepal.The temple was originally built in 325 AD , 4th Century and Rebuilt in 1702.The temple was built by king of Lichhavi period.The temple is dedicated to Lord Shiva.The Changu Narayan Temple is one of seven structures cited by UNESCO as demonstrating the historic and artistic achievements that make the Kathmandu Valley a UNESCO World Heritage Site.The temple is surrounded by forest with champak tree and a small village, known as Changu Village.Changu Narayan Temple is also known by the names such as Dola Sukhara, Garud Narayana, Champaka Narayan and Dola Parvat. 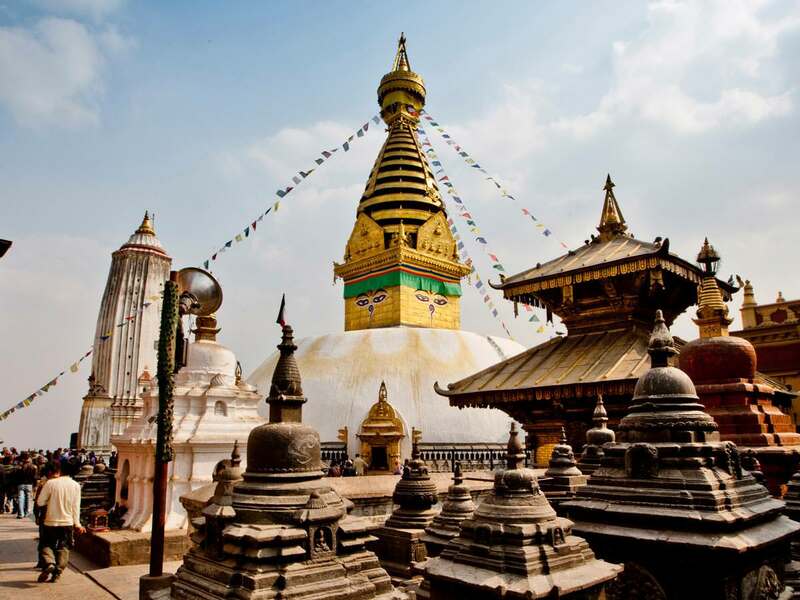 Being situated on a hilltop, from here, one can also have a very pleasant view of the Kathmandu valley and its beautiful surroundings.The temple stands as the epitome of culture, religion, history and faith of the Kathmandu valley. Inside the Changunarayan temple is a esteemed figure of Garuda. The statue is offered sweets by the devotees every year on Nag Panchami. This is done in remembrance of the epic struggle with the great snake Taksaka. The drops of moisture, believed to be effective against diseases such as leprosy and ulcers, are collected by the priests.The present temple pagoda style Architecture. A life size 5th century statue of Garuda, the carrier of Lord Vishnu kneels with his hands folded before the temple. Besides Garuda is one of the oldest Licchavi stone inscriptions. In front of the temple here is a statue of kneeling King Bhupatindra Malla and his queen. There is a 6th century stone statue of Vishnu Viswarup, the universal form of Lord Vishnu that Lord Krishna showed Arjuna while speaking the Bhagavad Gita. On the Lakshmi Narayan Temple there is an 8th century statue of six-armed Trivikratha (Lord Vamana), and next to it is a statue of Lord Narasimha, the man-lion incarnation of Lord Vishnu. 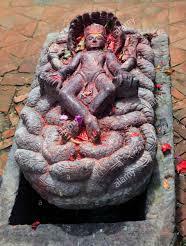 Behind the last two statues is a little black slab that has an image of Narayan lying on the traditional serpent Ananta and above it Lord Vishnu with 10 arms and heads. In the northwest corner of the courtyard is a sculpture of Lord Vishnu riding on Garuda, which is on the Rs 10 Nepali banknote. Above the main door is Lord Vishnu holding his four symbols. The temple now covers sixteen hundred years of Nepalese art history.This temple was built in Licchavi period and it is one of the Nepal's richest structure historically.It is one of Nepal’s most beautiful and historically important structures. The original shrine of Changu Narayan was built by king of the Lichhavi dynasty (c. 330-879 AD. ), kings of a race of conquerors from the south. For them and their successors the concept of the Supreme God was much larger than the Valley, even cosmic in extent and was expressed by their sculptors’ portrayal of the majesty of divinity and the benevolence of the universe in stone. The size of their images, the ambition of their themes, and the grace and power of their execution place their work amongst Asia’s most magnificent artistic achievements. 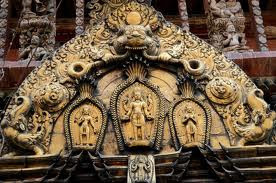 A Historical importance is ChanguNarayan Temple is the oldest temple in Kathmandu valley.In this temple Vishnu idol with ten heads and ten arms is a fine example of stone carving from the 5th century. 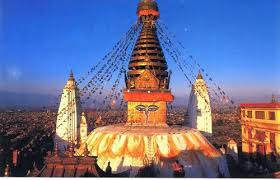 The temple is of great importance due to its idols and shrines having rich architectural beauty. 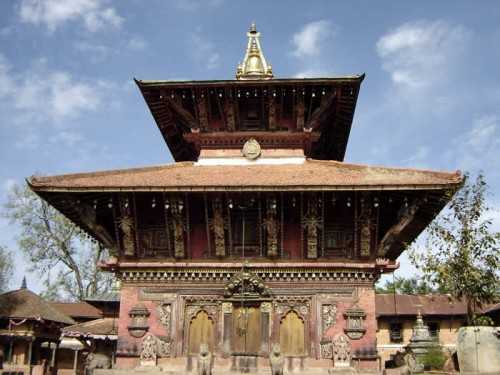 The Changu Narayan temple is pagoda-style temple Architecture .The temple is adorned by some of the best specimen of stone, wood, and metal craft in the valley. 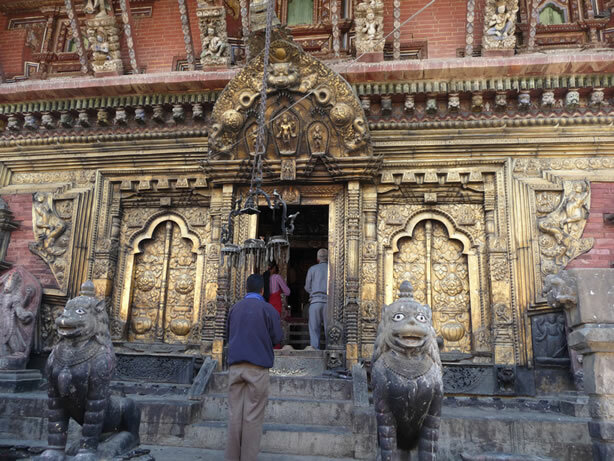 The temple stands as the epitome of culture, religion, history and faith of the Kathmandu .It remains a milestone in Nepali temple architecture with decorated works.A life size stone statue of Garuda kneels in front of the west face of the temple. Its top roof is made out of gilded copper sheets while the lower one is having a traditional tiled roof. 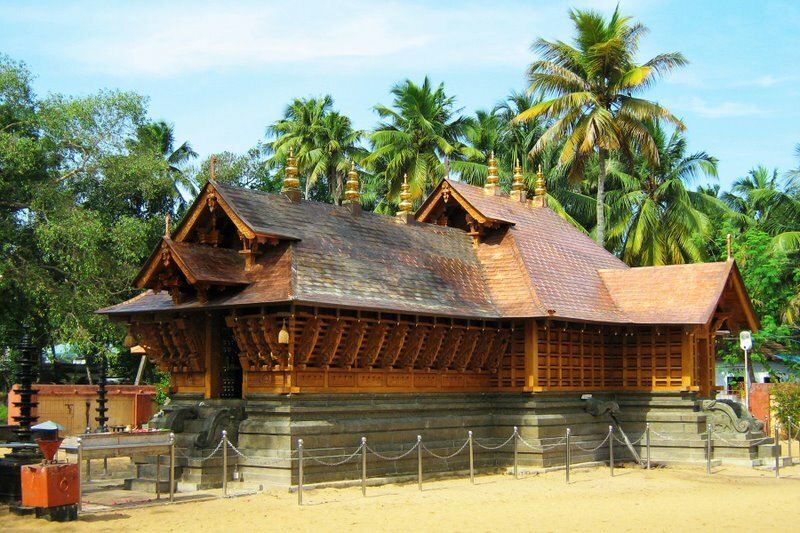 The over hanging roofs of it have been supported by very beautifully carved wooden components used in it. There is an inscription stone behind the statue. In front of the temple’s main entrance, in a ornate cage, there are smaller statues of King Bhupatindra Malla and his queen. 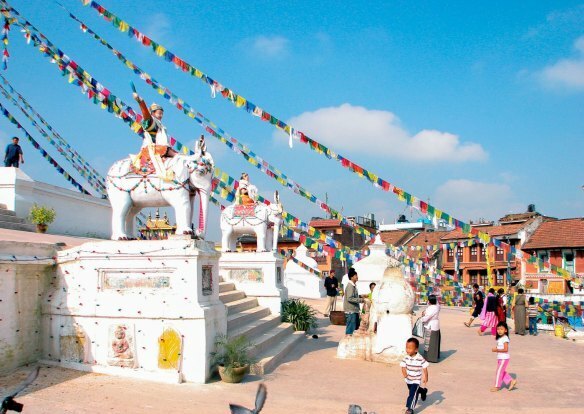 In its complex, apart from the main shrine of Changu Narayan, there are other similar architectural edifices that can also be taken as a fine specimen of Nepalese architectural designs evolved in different periods of time in the past. 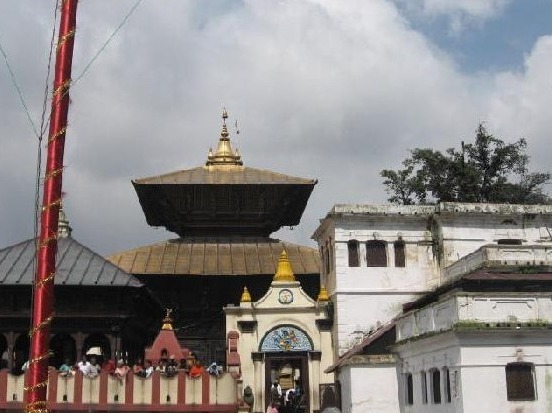 For example, the temple of Goddess Chhinnamasta, Kileswor Mahadeva, Laxmi Narayan, Natyeswora, Yatu Maju, Kanti Bhirava and several sattalas (public rest houses) are some which were built in different historical times by different persons. By Road : There are also a number of local buses and vans that carry passengers in the Kathmandu Valley around Ring Road to Chabihil and Boudhanath Stupa.There are many public and private Vehicals available to reach Changu Narayan Temple. 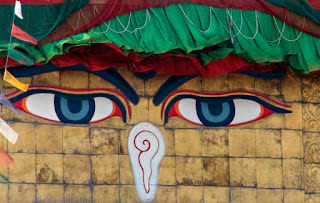 Boudhanath Stupa is Nepal's most distinctive monuments.Boudhanath Stupa is the second holiest site for Tibetan Buddhists, right after Tibet.Boudhanath Stupa is considered to be one of the oldest and biggest Buddhist monuments in Nepal.It is the center of Tibetan culture in Kathmandu and rich in Buddhist symbolism.Here is Some Information about Boudhanath Stupa in Kathmandu Nepal. 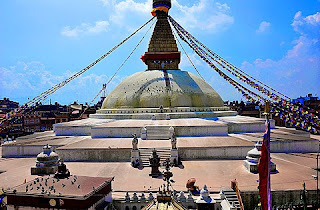 The ancient and one of the largest stupas in the world, Boudhanath or the Khasa Caitya is one of the holiest Buddhist sites in Kathmandu, Nepal.The stupa is located at about 11 km from the center and northeastern outskirts of Kathmandu Nepal.The stupa was built in 14th century and built by Mother Jadzima who looked after her chickens.The temple is dedicated to Lord Buddha.In 1979, Boudha became a UNESCO World Heritage Site. 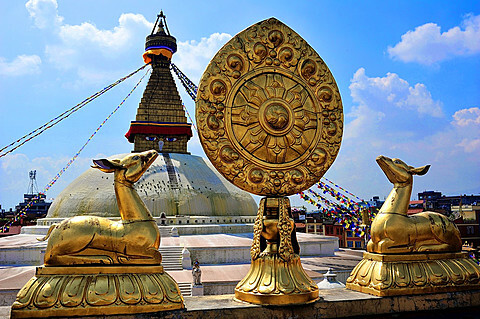 The Great Stupa of Boudhanath is the focal point of the district.The stupa's massive mandala makes it one of the largest spherical stupas in Nepal. 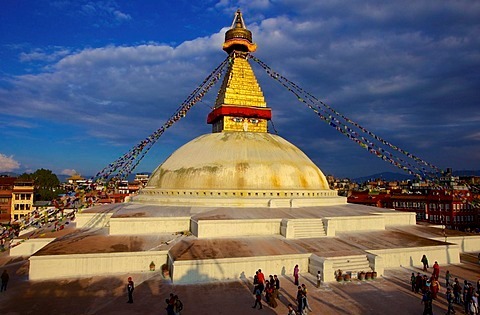 With a diameter exceeding 100 metres and a wall-to-wall length roughly equaling a football field, Boudha is among the largest stupa in the world- certainly the biggest in Nepal. The monument rises 36 metres above the street. The form and the alternated squares and circles represents a three-dimensional mandala, which is comprised of abstract religious concepts. 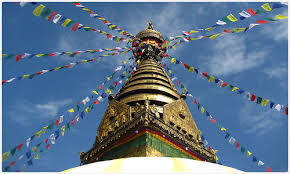 Every portion has symbolic significance: the base, dome, square harmika, spire, and pinnacle represent the five elements; the 13 tiers of the spire stand for the stages to enlightment, while the umbrella atop is the symbol of royalty. In Bouddhanath Stupa, there are many monasteries or Gompa attractions. They are all impressively adorned and colorfully painted. Anyone can visit the monasteries and take visuals. It is advisable to give small donation if you take photographs. 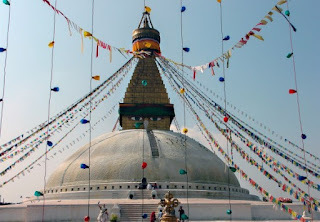 The stupa is a peaceful place and a welcome break from the rest of Kathmandu. There are surrounding shops selling religiously inspired souvenirs that would be perfect for the hippie in your life back home .Early morning and dusk are the best times to be here, when an otherworldly cacophony of ritual music drifts from the houses and monasteries that ring the stupa, and monks, locals and devout pilgrims all perform kora together, strolling, shuffling and prostrating their way around the dome.Stupa symbolize path to enlightenment. On top there are Buddha’s eyes, which are painted in all directions. 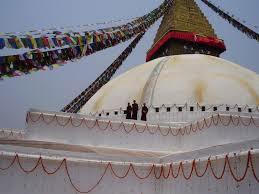 Stupa should be circumvented in a clockwise direction. The influx of large populations of Tibetan refugees from China has seen the construction of over 50 Tibetan Gompas (Monasteries) around Boudhanath.During the festival of Losar (Tibetan New Year) in February or March, Boudhanath hosts the largest celebration in Nepal. 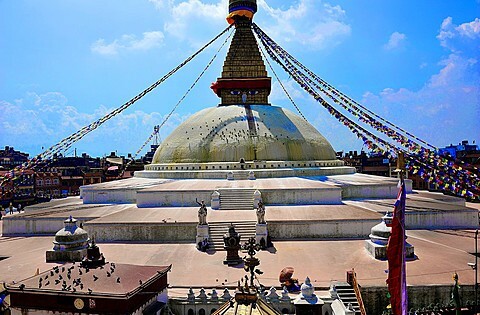 Boudhanath Stupa achieved UNESCO World Heritage Status in 1979.There are wonderful Architecture of Boudhanath Stupa.At the bottom, the stupa is surrounded by an irregular 16-sided wall, with frescoes in the niches. 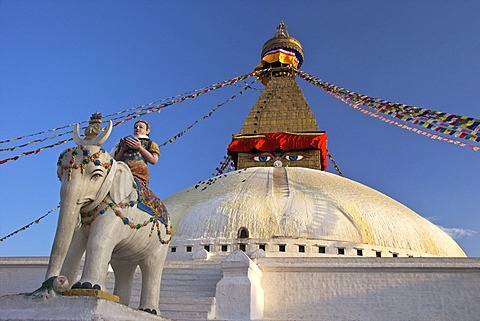 In addition to the Five Dhyani Buddhas, Boudhanath Stupa is closely associated with the Bodhisattva Avalokiteshvara (Padmapani), whose 108 forms are depicted in sculptures around the base. The mantra of Avalokiteshvara "Om Mani Padme Hum" is carved on the prayer wheels beside the images of Avalokiteshvara around the base of the stupa. The base of the stupa consists of three large platforms, decreasing in size. 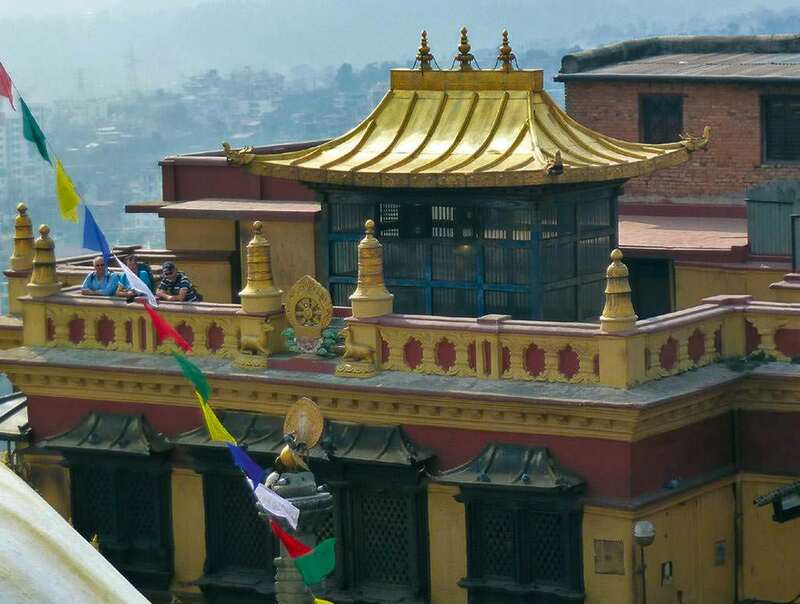 These platforms symbolize Earth, and here you can look out at the mountains while listening to the chants of the devout doing kora, walking around the stupa praying.The main entrance to the upper platform of Bodnath Stupa is on the north side. 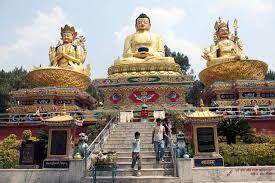 Here Amoghasiddhi, progenitor of the future Buddha, presides. Below Amoghasiddhi is the Buddha Maitreya, the future Buddha. 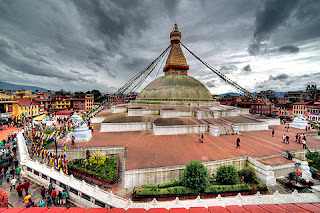 History says that The Boudhanath stupa is built about 14th century.It is Buddhest Religion Place and best destination.It is known as heart of Kathmandu.According to the Gopālarājavaṃśāvalī chronicles, the Boudhanath Stupa was erected at the turn of the sixth and seventh century during the reign of King Śivadeva of the Licchavi dynasty. 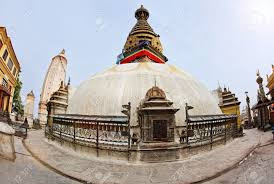 Other sources attribute the construction of the Stupa to the Great King Songtsän Gampo of Tibet, which would also indicate the seventh century. The majority of sources claim, however, that the Stupa was not built until the fourteenth century, after the Mongol invasion. Also like many religious stories from long ago, there is a component of cleverness and of the underdog coming out on top. Upon hearing the old woman’s request, the king offered her as much land as she could cover with the hide of a buffalo .Naturally, the woman cut the hide into thin strips and outlined a large circumference. Despite being tricked, the king was ok with this and now Boudhanath Stupa is a top destination for Buddhists and tourists alike.When the stupa was consecrated 100 million Buddhas dissolved into it, and it has the glory of being filled with their sacred relics. Whatever prayer is offered to it is fulfilled, and if you meditate upon your personal deity here, at the time of your death you will be reborn in Sukhavati. 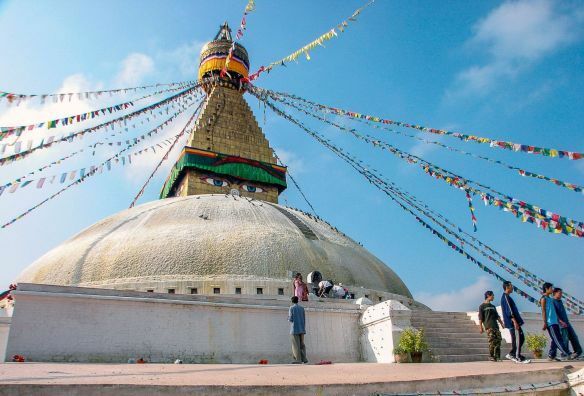 By Road : There are also a number of local buses and vans that carry passengers in the Kathmandu Valley around Ring Road to Chabihil and Boudhanath Stupa.There are many public and private Vehicals available to reach Boudhanath Stupa. 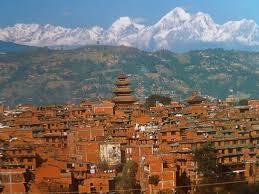 By Rail: The Nearest Railway station is Bhikhna Thori Rail Way Station 93 KM from Pashupatinath Temple Kathmandu Nepal. Pashupatinath Temple is one of the major Hindu Temple in Nepal.Pashupatinath Temple is known as Heart of Nepal and very oldest and bigest temple of Nepal.Pashupathinath is the guardian spirit and the holiest of all Shiva shrines in Nepal.Pashupatinath Temple is One Part of among one of Dwadash Jyotirlinga of Kedarnath Jyotirlinga Temple.Here is Some Information about Pashupatinath(Lord Shiva) Temple in Kathmandu Nepal. 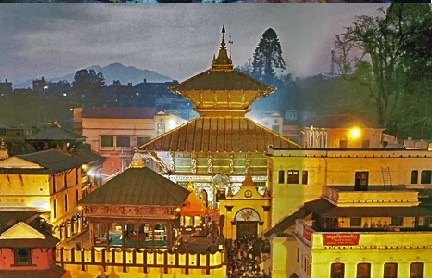 Pashupatinath temple is the biggest and most visited temple of lord shiva in the world.The temple is located about 5 kms north-east of Kathmandu situated at the banks of bagmati river at the middle of the kathmandu valley.The temple was built in around 4th century and built by king Mandev. The ancient lichavi king of nepal who was big shiva bhakta.The temple is dedicated to Lord Shiva.Pashupatinath Jyotirlinga is known as half jyotirlinga because half part is belive Kedarnath Jyotirlinga.Pashupatinath Temple employs a pagoda architecture declared a World Heritage Site by UNESCO.Pashu means leaving beings, and Pati means master. In other words Pashupati is the master of all living beings of the universe. The puja at temple is carried out regularly even in critical condition in nepal. Nepalese people believe pashupatinath as national deity of nepal.The temple in Pagoda style has gold gilted two tier roof and richly carved silver doors which are famous for the superb architecture. 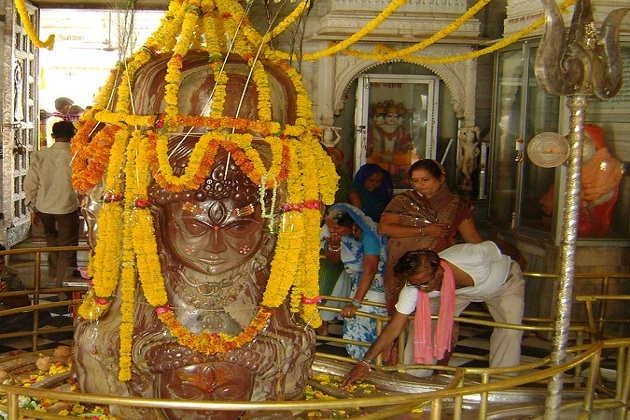 The temple is famous for a three feet high lingam called Chaturmukha (four faces). The faces look towards four different directions - east, west, north, and south. 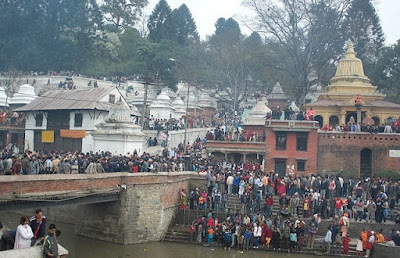 Each face represents different incarnations of Shiva, such as Sadjyota, Vamdeva, Tatpurusha, and Aghor.Thousands of devotees from within and outside the country come to pay homage to Pashupatinath every day. And on special occasions like Ekadasi, Sankranti, Mahashivratri, Teej Akshaya, Rakshabandhan, Grahana (eclipse), Poornima (Full moon day) people congregate here in far greater number. 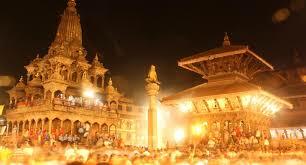 The main festival of pashupatinath temple is Shivaratri which is celebrated every year with huge enthusiasm and gala. There are many monkeys in the temple, so make sure you are not carrying plastic bags, fruits or other offerings openly. There is a place to leave your footwear. There is an arti on the backside of the temple facing the river and the back of the temple.This temple was connected to the Lingayat movement of Baseveshwara in Karnataka and the priests who perform the services at this temple speaks Kannada.The main temple houses the sacred "linga" (or phallus) of Lord Shiva, the Destroyer. 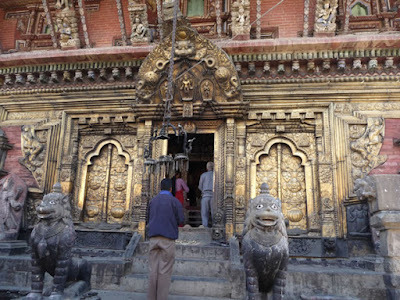 Sections of the temple complex have been renovated and rebuilt after earthquakes, and there have been hundreds of additions over the centuries.Photography or any bag is not allowed inside temple premises. There are lockers available for bags and shoes. Last year in Pashupatinath Temple here had survived the massive 7.9 magnitude earthquake that flattened several World Heritages like iconic Dharhara tower and Darbar Square in Nepal, but this temple is very safe so exampe of live god in this temple.Really Pashupatinath temple is the olddest ,biggest ,richest and most famous temple in kathmandhu. 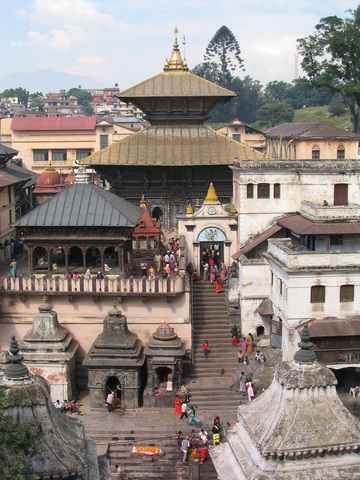 Pashupatinath Temple, with its astonishing architectural beauty, stands as a symbol of faith, religion, culture and tradition. 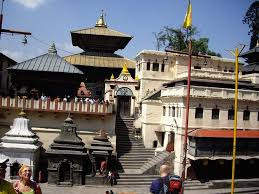 Regarded as the most sacred temple of Hindu Lord Shiva in the world, Pashupatinath Temple's existence dates back to 400 A.D.Pashupati was a tutelary deity of the ancient rulers of the Kathmandu Valley; in 605 AD, Amshuvarman considered himself favored by his touching of the god's feet.By the later Middle Ages, many imitations of the temple had been built, such as in Bhaktapur (1480), Lalitpur (1566) and Benares (early 19th century). 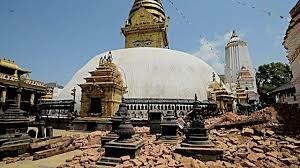 The original temple was destroyed several times until it was given its present form under King Bhupalendra Malla in 1697. According to a legend recorded in local texts, especially the Nepalamahatmya and the Himavatkhanda, the Hindu god Shiva once fled from the other gods in Varanasi to Mrigasthali, the forest on the opposite bank of the Bagmati River from the temple. There, in the form of a gazelle, he slept with his consort Parvati. When the gods discovered him there and tried to bring him back to Varanasi, he leapt across the river to the opposite bank, where one of his horns broke into four pieces. 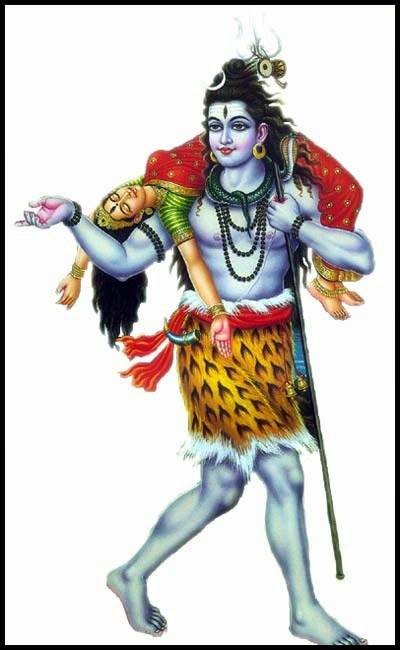 After this, Shiva became manifest as Pashupati (Lord of Animals) in a four-face (chaturmukha) linga. 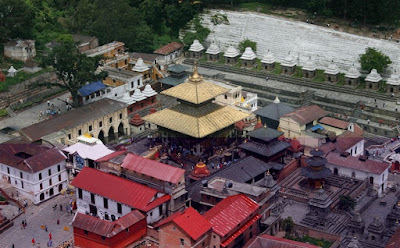 Pashupatinath Temple employs a pagoda architecture. 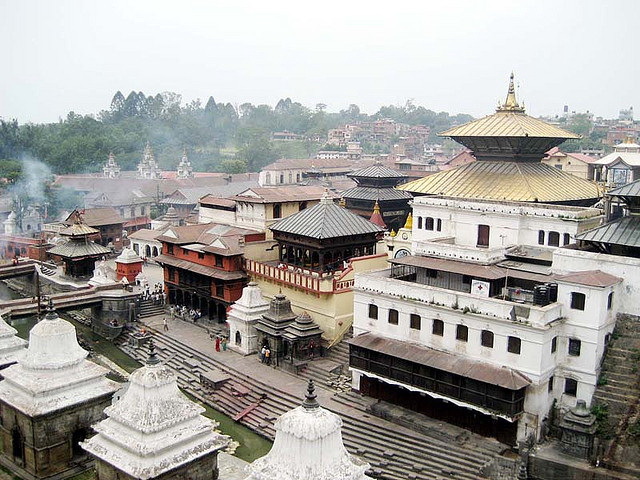 The roofs of the temple are made with copper and painted with gold.The Pashupatinath temple is pagoda style with three storey building. 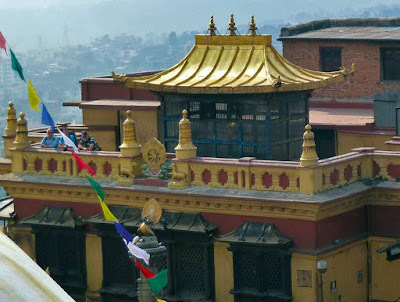 Three storey building is made up of gold roof along with various wooden art and architecture of various god and goddess. At very top of temple there is Gold trishul ,Damaru and Gajur(crown).The very big bull (vehicle of shiva) is situated in front of west face.The western door has a statue of a large Bull, Nandi, is ornamented in gold. This black stone idol, about 6 ft in height and circumference, adds to the beauty and charisma of the temple. The pashupatinath temple have four entrance gate. All four entrance is made of silver. Inside temple premises there are many God (Protector of shiva). 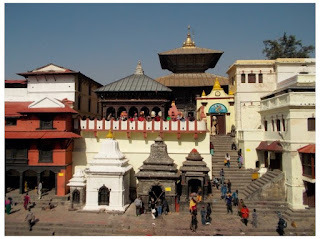 As well as outside temple also there are many temples dedicated to different god/goddess who have directly and indirectly relationship to lord pashupatinath. The main attraction of this temple is the shining Shivalinga and the huge golden statue of Shiva’s Bull, Nandi.From the Eastern bank of the river the main temple can be seen in its whole beauty. The majority of these buildings are small single storey constructions made from stone. From the outside these buildings are reminding crypts, but in reality these are sacral buildings, created for holding the symbol of the deity Shiva - lingam (erect phallus). Lingams can be found all over the complex.The present architectural nature of Pashupatinath temple came into existence as a result of renovation by Queen Gangadevi during the reign of Shivasimha Malla. There are many public and private vehicals available to rech Pashupahinath Temple Kathmandu. There is a regular bus service to and from from this place. 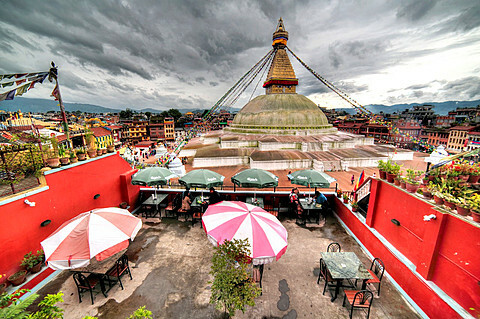 One can also stop by the place while coming from or going to Boudhanath, which is more than half day's affair from Kathmandu. 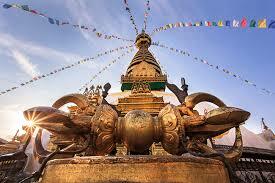 One can also walk down to Boudhanath as it just half an hour walk from here and vice-a-versa. It takes approximately 45 minutes to reach Goshala, the stop for Pashupatinath.Battery-operated Safaa tempos depart from near the Ratna Park office in Kathmandu and drops the pilgrims at Ring Road, west of Pashupatinath. Thereafter, a tempo going to Chabahil or Bodhnath can be hired. 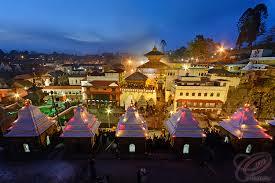 By Air : The Nearest Airport is Gorakhpur Airport 242 Km from Pashupatinath Temple Kathmandu Nepal. Here us Some Information about Puttingal Devi Temple in Paravur Kerala India. Puttingal Devi Temple in Paravur is located at Paravur town in Kerala state of India.The temple is built about after the presence of the goddess was experienced on an ant hill.The temple is dedicated to Goddesh Puttingal Devi .Goddesh Name 'Puttu' means Malayalam word for ant Hill.Many devotes visit this temple.The temple's faimous festival "Bharani" Grand celebration. 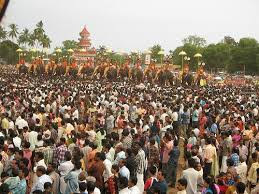 "Bharani" is coming Malayalam month Meenam.large numbers of people come and celebrate this festival.Various poojas are performed and offerings are made daily for the fulfillment of desires and redressal of various grievances of devotees.This temple have Amezing Architecture .Last Time during this festival On 10 April 2016 113 people died due to a fireworks mishap at this temple, while over 350 other people were injured. On 10th April 2016 Sunday in Puttingal Devi temple Fire Tragedy.Over 100 people are feared dead and over 350 injured after a fire broke out at the Puttingal temple in Kerala's Kollam early morning. 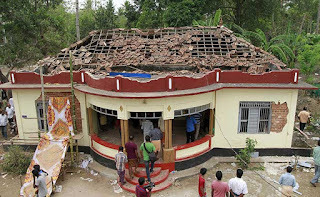 The fire, that was caused due to fireworks, also damaged the Puttingal temple's roof.People gather around a damaged section of a temple after a fire broke out at a temple in Kollam, Kerala.Thousands of people had packed into the Puttingal Devi Temple and the narrow lanes around it. 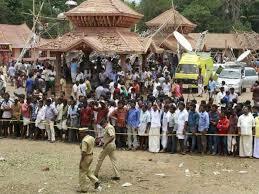 By Road : There are many public and private vehicles availoable to reach Puttingal Devi Temple Paravur Kerala. By Rail : The nearest Railway station is Kollam Station. By Air: The Nearest Airport is Kochi Airport.